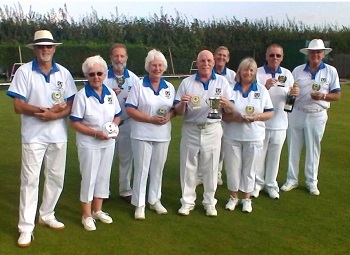 In 2017 the Club was proud to win the Holbrook Cup (team on left) and also the Three Counties President's Cup. We welcome experienced players to add to our already successful teams. And, of course, we would be delighted to teach new bowlers how to play this grand old game. Jim Jenkins May I offer sincere thanks to all Members of the Club for allowing me to serve as Club President for 2019. In return I will endeavour to work and support the Club and its Officers throughout the term of my Office. I'm passionate about the quality of our green and am confident that in 2019 we will have a near-perfect green to play on. 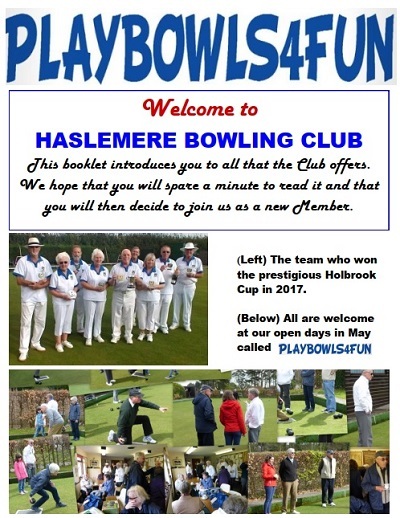 We’ve been bowling on Haslemere recreation ground for 108 years, on Old Haslemere Road at the top of Museum Hill (GU27 2NN). Come along on any Thursday afternoon during our playing season of April to September when we have a Club roll-up at 2.30pm. We are proud to be sponsored by Eight Wealth Management and Leightons Opticians	. 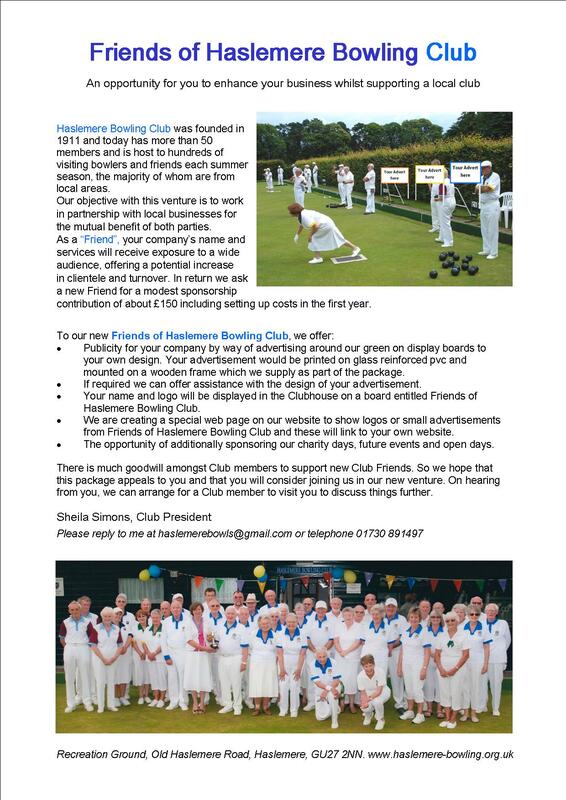 We invite Haslemere businesses to become Friends of the Club. Click here to see more details of our Friends and Sponsors. Each year we invite anyone interested to come and try their hand at bowling. This year we plan to hold this event again on Sunday May 19th. Here are the links to pages on this website: Just click on them. About us, Dates for annual events; how to find us. Pictures from competitions and social events. Welcome brochure which lists our Committee, Officers and contact details. Friendly Fixtures and Special Days. Application form to join the Club (pdf). Application form to join the Club (doc - editable). The Clubs we play. How to find them.